This bomber jacket is a pint-size version of the most on-trend coat this season. A lighter layer this is perfect for layering or to wear on its own on cooler days. 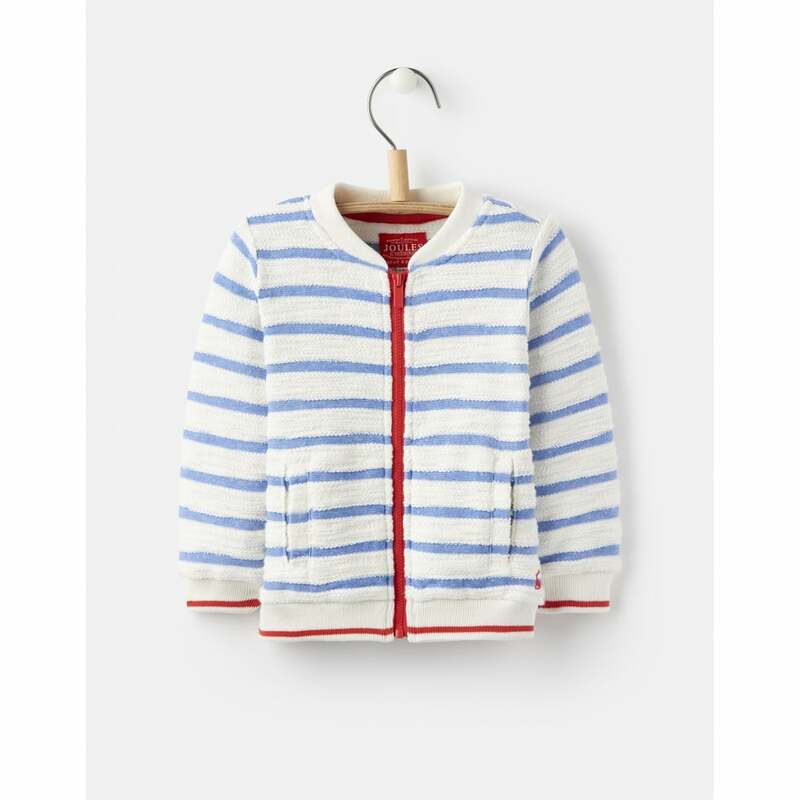 With all the details of a classic bomber such as zip fastening and ribbed hem and cuffs this jacket has a nautical-inspired stripe design to make your little one stand out from the crowd.